Inspections are taken at critical times during the building process. This documentation will give you invaluable peace of mind in knowing that your new home is being constructed in accordance with the International Residential Code (IRC) for One & Two Family Dwellings, local building codes and standards and design specifications. You should never allow quality control to take a back seat to money saving short cuts. 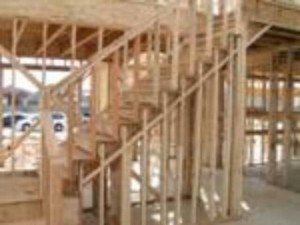 These new construction home inspections are not all about proper placement of building components, but are designed to be informative and educational at the same time. The new home inspection report will identify sizing, spacing, materials used and location of HVAC equipment, panel boxes, water heaters, water lines and plumbing clean-outs. This information is as important as the proper construction of the residence itself. 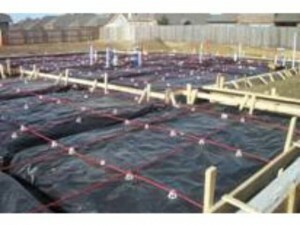 This critical inspection takes place before the concrete is poured ensuring that the footing is in accordance with the design specifications, (i.e., size and /or dimensions of the support beams, and structural steel content) and that you have proper placement and installation of the post-tension cables. This inspection also includes inspecting for proper placement, installation and protection of the copper water lines. Once the rough-in electrical, plumbing, heating & air conditioning equipment are in place and the interior, exterior framed walls are complete, the roof sheathing and roofing material are in place, the structure is basically secure from water intrusion. Then you are ready for your pre dry-wall inspection. We will come back to the property before the drywall is hung and insulation put in. 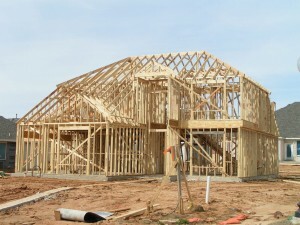 We will check the interior and exterior framing, wiring, roof, and plumbing to make sure everything matches the plans. A detailed new home construction phase report is then completed at each phase inspection. The report will include digital pictures of defects found and black & white illustrations of proper installation. No matter where you are, this report can be emailed or faxed to you by the next working day. You are Guaranteed a Competent and Professional Inspection or Your Money Back! A-Action performs home inspections in Dallas, Plano, Frisco, McKinney and all surrounding areas. A-Action Realty Inspection Services, LLC is at A-Action Realty Inspection Services, LLC. Breakers that do not match and oversized for the HVAC Equipment. Paul explains what is about to happen with R22 Refrigeration for AC equipment.